Blog originally posted on Every Mother Counts website here. I have worked the last several nights with a team of nurse-midwives in the Labor and Delivery unit at FAME-Africa, a grantee partner of Every Mother Counts. A nurse-midwife is a Registered Nurse that has additional training in pregnancy, childbirth, and postpartum care. All of the nurses at FAME-Africa who work in the Labor and Delivery unit have the title of “Midwife.” They are an incredible team, and I want to honor them by writing my first blog about what it is they do, day in and out, with a smile on their face. In the US, my job as a Labor and Delivery RN is hard. At least, I used to think so. This Tanzanian team is responsible for phlebotomy, level 2 nursery, ICU (intensive care unit), OB (obstetric) patients, OR (operating room), Post-Partum care, gastrointestinal examinations, the pharmacy, AND they deliver 50% of the babies. They are not assigned a patient, they work as one. Their individual care is woven together in a seamless fashion, creating a layer of excellent care provided at FAME. Yesterday, after an already trying day, a patient was brought into the unit after suffering a seizure at home, seven days post-partum. She had global confusion, no ability to speak and responded only to deep pain stimuli. When told she would be arriving soon, none of the team members were on edge or changed what they were doing to prepare for this patient’s arrival. “We have seen this many times,” was the answer when I asked about their calmness. This team cared for her in a way in which I will never forget. 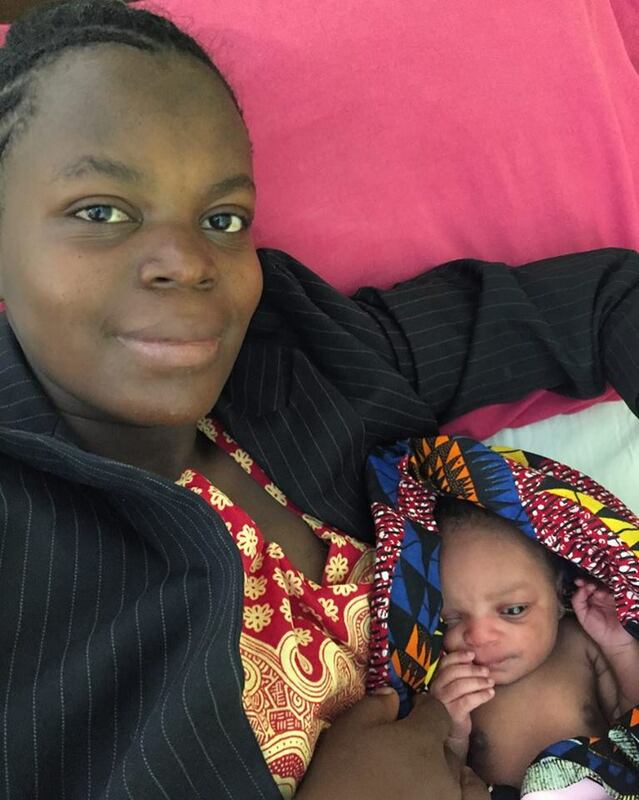 The patient was brought in with her newborn in her mother’s arms, wrapped in several colorful African cloths. She was placed in a semi-private room with two other patients. One was a twin pregnancy with premature rupture of membranes and the other a laboring young woman. Agness, Jacob, Evelyn, and Ruhama were part of her team of care. Agness got her settled, took her vital signs and welcomed her family. Jacob restarted her infiltrated IV within seconds in a hand where I couldn’t begin to see a vein available for use. Mama Evelyn put in a Foley catheter and got labs as the others handed her supplies without the need to be asked. Ruhama put in an NG (nasogastric) tube and spoke to the physician on call for orders. You have to realize how critical this patient was – she easily belonged in an ICU in the States. These nurse-midwives already had a full unit of women laboring, postpartum and antepartum. When orders were placed by the efficient Tanzanian physician, they included a very critically needed yet potentially heart-stopping medication. In the US, this is prepared by a registered pharmacist. Ruhama calmly broke open the vials, confidently drew them up into her multiple syringes and gave a very combative patient her anti-seizure meds via IV and IM (intramuscular). After the patient calmed down, porridge was prepared by yes, a nurse-midwife, and placed, warmed, down her NG tube with precision and respect, having made sure the temperature was just right by placing a droplet on her forearm before pushing it into her stomach. The nurse-midwife talked to her comatose patient each time she came in contact with her, checking her mental status but also knowing the importance of including the patient in their care. My role could have included assisting with a number of those skills performed last night but I knew in my nurse bones that I was witnessing a symphony. So, I stood and watched, taking note, and beaming with gratitude that I can be included in this group called Registered Nurses. The next morning I arrived on the unit. This new mama was lying in bed, surrounded by her immediate family, nursing her newborn with a glowing expression on her face. There we were, with a sweet baby boy, who was barely a day old and suddenly an orphan. His Maasai mother had succumbed to eclampsia shortly following his birth. He was a small newborn and was placed into one of our incubators upon arrival, but he was strong, undoubtedly strong. One of FAME’s social workers, Kitashu, sprang into action as soon as he heard of the child’s current circumstances. He immediately contacted the family, who were far from FAME in a very remote village in the Ngorongoro Conservation Area. He knew to support this newborn, he would need to involve the family to find someone to breastfeed and to help care for this charming baby boy. At FAME, and throughout Tanzania, the nurses know formula feeding for babies is not a sustainable solution due to limited resources. For most cases of maternal mortality, nurses and social workers look for a relative or neighbor that has young children and is able to breastfeed an additional child. For this baby, it was a challenge for Kitashu to find someone. After communicating back and forth with the child’s village and relatives, they finally found a young Maasai woman a few villages over who had a small infant of her own that would be a great match for our new little one. She agreed to come to FAME for three weeks for our team to observe feeding and ensure this baby boy would continue to grow and have the same strength we noticed during his first moments of life. During their stay at FAME, Kitashu worked with the young mother to ensure she, her young child, and our little one received the attention they needed. He brought them baby clothes, soap, and “kanga” which is a common type of Tanzanian fabric many new mothers use. As the social worker on this case, he was able to develop a relationship with this newly formed family. He said he saw an opportunity to help and he was happy to take it. With a huge smile on his face, he then disclosed that on discharge day, the family chose to name this new baby boy Kitashu, because of all the support they had received. Social worker Kitashu and his namesake still get to see one another for check ups during Well Baby Day in the Reproductive and Child Health Center at FAME. At three months old, he’s still doing well and growing stronger and stronger with each visit. As an observer, seeing Kitashu work alongside this family, ensuring the safety and stability of life for this new baby boy was incredible. The family clearly has a lot of respect and love for Kitashu after the support he’s provided. Additionally, the young woman who stepped up to care for a baby that prior to our phone call, she had no relationship to was inspiring. We were all in awe of this new mother who came forward, willing to travel to FAME for nearly a month to support baby Kitashu without having ever met his family and with a young child of her own in tow. They say it takes a village, but this case made it evident that, sometimes, it takes more than that. It takes deep kindness and unconditional compassion that transcends village boundaries. Back to School - Meet Hosiana! Aside from feeling connected, the culture of learning she’s experienced during her time at FAME has made her really excited to go back to school. She knows she’ll return more advanced after her year of studies and is looking forward to bringing her new skills back to Karatu. She believes she’ll return more capable, improving how she works and relates with patients. She also has hopes that her advancement will allow her to begin helping our doctors in the operating theaters. Hosiana definitely wasn’t shy about her goals for her future at FAME. “I already miss FAME,” she responded when asked if one year would feel like a long time away. However, she knows going back to school will help her in the long run, allowing her to set realistic, tangible goals. She was so appreciative of the opportunity to return to school and make her dreams achievable. When she first applied for the scholarship, she was unsure if she would be chosen or not, but she felt that FAME knew her position and how motivated she was. When she told her father she had been accepted to return to school, she said he was in complete shock and couldn’t believe the opportunity she had been given. She ended our conversation with immense gratitude. She wanted to thank FAME’s staff; all of her coworkers, leaders, and administration. She is deeply appreciative of this opportunity and is already looking forward to her return to Karatu. Thank you to our donors who have made our Scholarship program possible and giving us the opportunity to support bright healthcare providers like Hosiana! Today, a half a world and a year away from my last volunteer visit, while in an expert group of pediatricians in the US, I was reminded of how remarkable the care is at FAME Medical. In my comfortable surroundings with coffee and brunch, we were given a few clues to solve our “study case”. Our study patient was a 14-year-old girl with eye hemorrhages, fatigue, and anemia. My peers are well-respected clinicians and specialists and I have been a practicing pediatrician since 1982, having volunteered at FAME on two month long visits. Cases similar to our “study case”, which took my colleagues and I over an hour to figure out, are every day occurrences at FAME. Here in the USA, differential diagnosis is pared down after doing multiple tests, finding results, performing more tests, procedures, and finally moving on. Very little today was said of a bedside patient exam, and a detailed, complete, history and physical. It was an Ngorongoro Crater safari guide who mentioned casually to me on my first trip that you might just see a miracle at FAME. He was right. It was just another September day in rural Tanzania when a hunter found a lost, unconscious boy who was about 14 years old and dressed as a student in the bush. The hunter somehow got him to FAME’s outpatient clinic. Word of mouth brought his father, who assured us the boy had been a well, healthy child just the day before. The boy could not be awakened, had a stiff neck, and difficulty swallowing. He could not seem to hear and responded slowly to pain. Our differential diagnosis included everything from trauma, to rabies, to meningitis. The FAME team supported the boy with intravenous fluids and antibiotics. Spinal fluid results returned suggesting encephalitis like illness. He was monitored as potentially a critical case and examined frequently. Encephalitis is an inflammatory form of meningitis that can be catastrophic. Complications of encephalitis may include permanent brain injury, seizures, loss of language and purposeful movements. Some patients may even have brain swelling. After 36 hours with minimal improvement, our FAME team reached for the next line of therapy, including steroids and anti-viral medications. There was a global shortage of intravenous anti-virals, so we began to question if we should risk giving the medicine orally through a tube? It was risky giving liquids to a person in and out of consciousness. However, the answer became clear when we saw the pleading look on his father’s face. Less than 24 hours later the lost boy was able to sit with help, swallow food, and ask his dad for his favorite music. Protocol requires treating encephalitis for a minimum of 21 days. By hospital day four, our patient got up from his wheel chair and told his father he would prefer to walk. What made this case a miracle for this experienced pediatrician was the confidence he had. To make my complete surprise even better, he stood up in front of American tourists visiting FAME to “find out what goes on here”. I smiled and said “miracles”.